These tiny terrors are miniature tropical sundews in 2 inch pots. They are exotic and alluring, and irresistible to passing insects. Stay tuned for photos of their new homes, which will be on display and for sale in April at the WKNO Gallery. 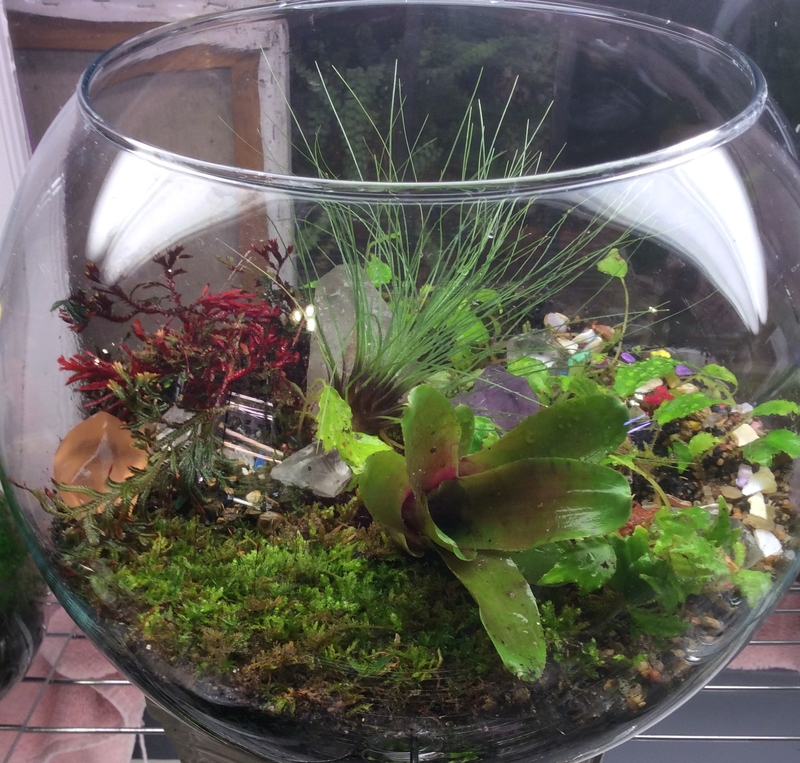 Interested in planting your own terrarium? The next workshops will be March 10 and 11, 2018. Find more info on the event page, or call me at 901-828-3685. Space is limited so don’t delay! Peace and love, friends and neighbors.